Today, when you order "Tarbell 49: Unique Card Magic", you'll instantly be emailed a Penguin Magic gift certificate. You can spend it on anything you like at Penguin, just like cash. Just complete your order as normal, and within seconds you'll get an email with your gift certificate. 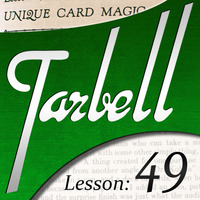 Tarbell 49: Unique Card Magic (Instant Download) Cards flying and JUMPING THROUGH FIRE. 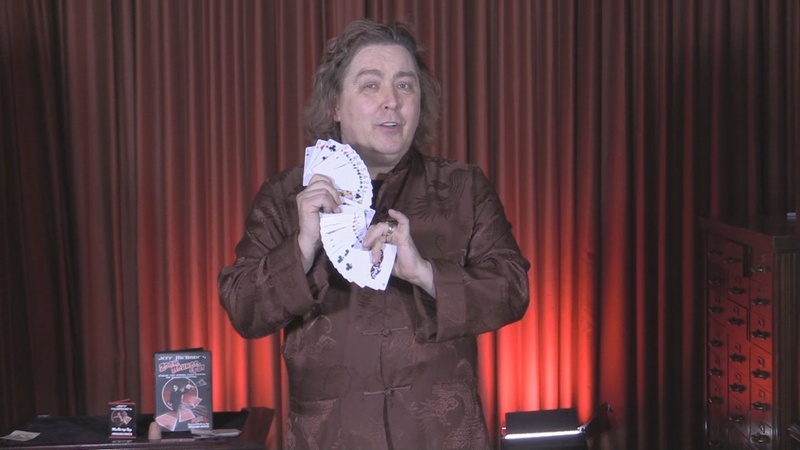 Plus Jeff McBride teaches his signature card move. INTRO PRICE ENDS AT MIDNIGHT. START LEARNING INSTANTLY AND SAVE. This lesson contains an assortment of tricks and stunts designed to make your card magic stand out from the rest. When these routines and moves first appeared in print, many of them were quickly adopted by card handlers everywhere, so you may recognize a couple, but wait 'til you see what Dan's done with them. First off, Dan adds a few touches to a funny bit which becomes real magic as a well-known practical joke snake shows off another talent... finding a selected card. Then, you'll learn Dan's set-up and handling for a beautiful mystery in which three selected cards seem to melt through a deck trapped in a wine glass. And Dan shows you how to make a simple little gimmick, allowing you to cause a selected card to appear in an unexpected location. Then, a singing participant finds their own card through a karaoke coincidence, and another card pops into view with quick riffle. 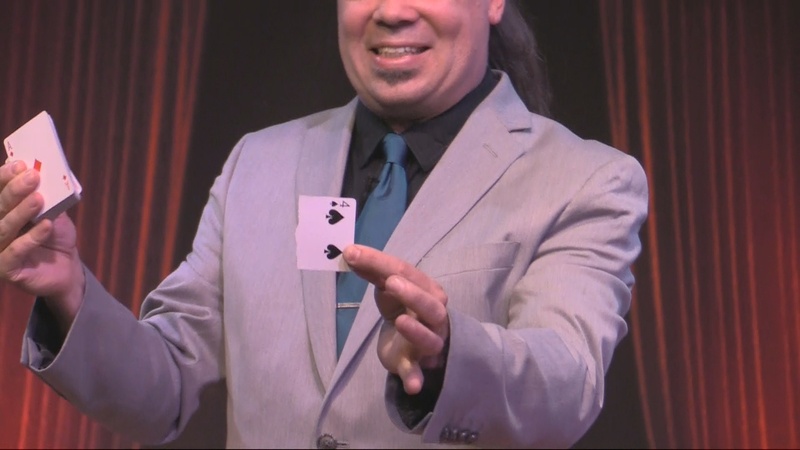 And speaking of cards popping into view, we're going to Vegas where Jeff McBride teaches you his exceptional work with a knacky move. You'll learn a few other jumping cards, including the preferred modern method. Then, back to Vegas to find out how Jeff gets the most out of the long distance spinner. 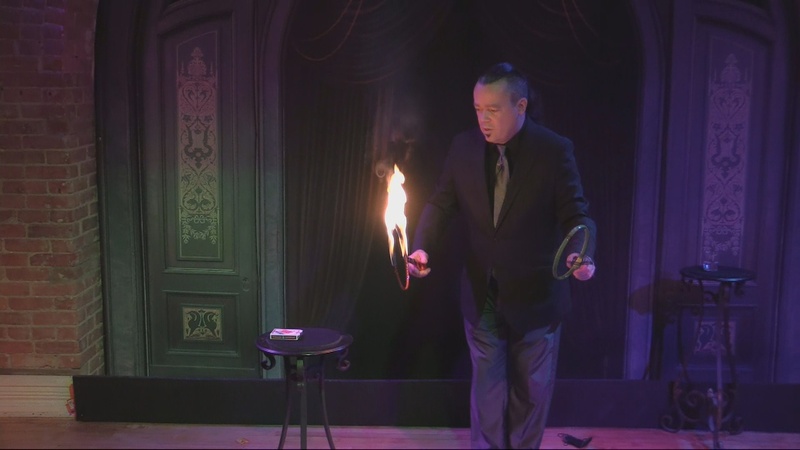 And finally, Dan put together a quick routine to incorporate a card floating, vanishing, returning, and ultimately jumping through a flaming hoop. Some of these tricks require special props, others plenty of practice, but all of them can get you, and your card magic, the attention and reactions you desire. I have to say this video won't be for everyone necessarily. Most will require a bit of time to get the feel right, but there are a few effects here that require nothing more than a few minutes of learning. My favorites have to be the "Yankee Doodle Card Trick" (not as cheesy as it sounds) and "The Flash Card Change". You will learn a LOT of ways to make a card jump and pop into view as well, but be prepared to spend a lot of time getting those just right. My only complaint comes from "The Flash Card Change". Basically, three cards are revealed while in a wine glass and apparently out of the magician's control. When explaining the effect, Dan shows a gimmicked glass (not necessary but a very nice addition to the presentation of the effect) and says he explains how to make it in the Rising Card video. To me, that's a shortcoming. Why not take five minutes and explain again how to make it for those of us who don't have the previous video? Or just play the clip of that other video to explain it? I understand you need to sell as many videos as possible, but I don't think this is the best way to do it. All in all, this is a quirky collection of card tricks that will take you beyond the norm and into a much more visual "eye candy" realm with your cards. It will set you apart from a lot of other magicians with a little effort and it's worth the time. The lecture looked interesting. I'm glad I purchased it. I had a corporate show coming up and the lecture gave me some additional ideas for my corporate show. It worked out great. Thus lesson had a lot of as billed unique card mysteries. The card to spring snake is very clever as is the simple yet devious singing to the card which almost mimcks a psychic stop trick only easier. 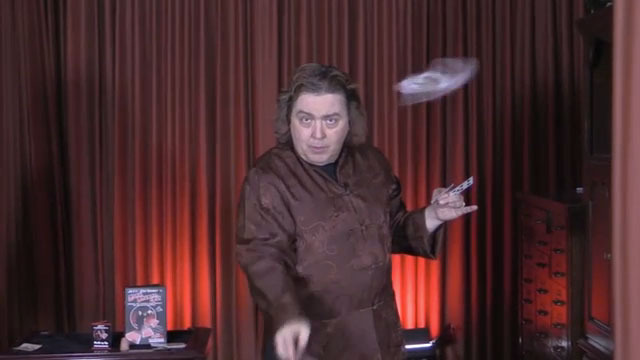 Having Jeff McBride set in to go over some card shooting/ spinning moves was a nice addition to make a very reasonably priced lesson. If you like offbeat card magic and/or shooting and spinning cards out of the deck this lesson will teach you some great stuff! I'd almost eliminated card magic from my stage routine because I thought the effects were too small to be appreciated by a larger group. THIS lesson has changed my mind! So many GREAT routines that will play well to a large audience! Yes it is craft time again, but nothing difficult and the effects are well worth the effort. The routines are typical Dan-excellent. Also some great teaching by Jeff McBride. Worth 10 times the cost. Hi this lesson is very very good for me excelent work thanks penguin and Akar.